Death is so arbitrary. It’s always there. It’s coming for all of us. We’re all going to die. I’m going to die. You’re going to die. […] You don’t get to live forever just because you are a cute kid or the hero’s best friend or the hero. Sometimes the hero dies, at least in my books. I love all my characters so it’s always hard to kill them but I know it has to be done. I tend to think I don’t kill them. The other characters kill ‘em. I shift off all blame from myself. Speaking with Galaxy’s Edge, I love how George R.R. Martin is candid regarding his reasons for killing off characters. In his mind’s eye, it’s boring to keep the hero around just because a person is a hero. That’s why Robb Stark was killed off at the Red Wedding. That’s why the staunch Ned Stark lost his head. That’s why, on the series, Jorah is a rather tragic character who has been subjected to greyscale, despite his undying love for Dany. Being staunch and steadfast and true can be just as much of a crutch as other attributes in George R.R. Martin’s world. The fact that any character could go on Game of Thrones has been one of the fantasy drama’s main selling points since the series killed off Ned Stark late in the first season. Game of Thrones or George R.R. Martin’s A Song of Ice and Fire books aren’t the only series that have kept audiences engaged through killing off both heroes and villains and many more characters that land somewhere in between. The Walking Dead has famously garnered incredible ratings by pulling the same sort of trick. Interestingly, as both shows have gone on, the lead characters have stood a longer and longer chance at surviving. 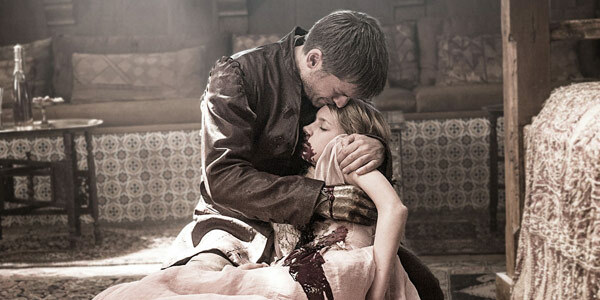 Last season, Jon Snow seemed to have bitten the dust when he was stabbed on the series. However, just a couple of episodes ago, the character was brought back from the dead. Likewise, it has been quite some time since The Walking Dead killed off one of the core members of its group, although that will reportedly be rectified when we learn who Negan swung Lucille at during the finale. Still, Game of Thrones has spent a long time proving that no characters are infallible. People die, people seem to die, and people who should die sometimes survive. The fantasy world is an unexpected place, sometimes grueling and sometimes wonderful for its characters, but always watchable for its audience. George R.R. Martin and co. certainly know how to keep us guessing. Game of Thrones is currently airing its sixth season on HBO, and showrunners Dan Weiss and David Benioff have stated that Season 7 or 8 will probably be the last for the drama. You can find out what we know about the upcoming episodes here. In addition, George R.R. Martin’s Winds of Winter will hopefully be published sooner rather than later.